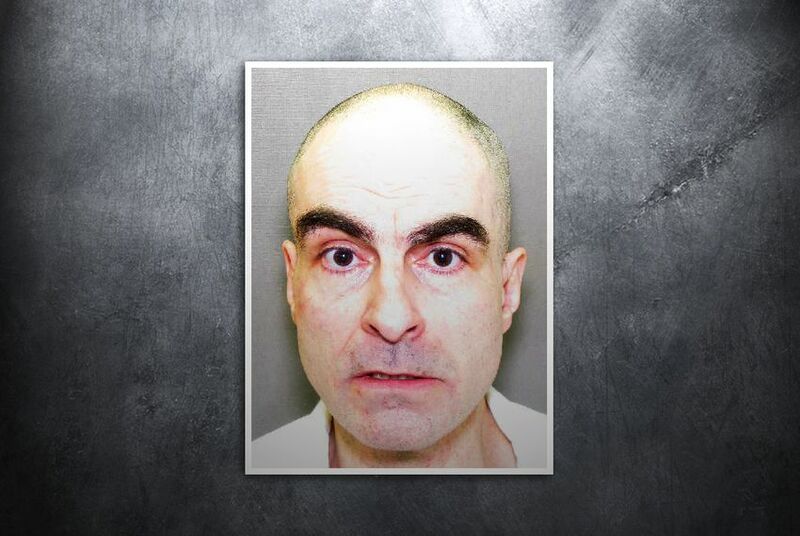 The Texas Court of Criminal Appeals on Monday stayed the execution of a severely mentally ill inmate convicted of a 1989 robbery and murder at a Fort Worth Steak and Ale restaurant. The Texas Court of Criminal Appeals on Monday stayed this week’s scheduled execution of Steven Staley, a severely mentally ill inmate who was convicted of a 1989 robbery and murder at a Fort Worth Steak and Ale restaurant. The stay came after defense lawyers argued that the state was violating Staley's constitutional rights by forcing him to take powerful anti-psychotic drugs so that he could be considered mentally competent for execution. On the heels of the stay, John Stickels, a lawyer for Staley, said that a psychologist on Monday spent three hours with the inmate at the Polunsky Unit in Livingston and had concluded that after two weeks without his medication he was no longer competent. "He is delusional again. He believes there is a big conspiracy orchestrated by the state and that everybody, everybody, is part of the conspiracy," Stickels said. "He believes that he was wrongfully convicted because of the conspiracy." The execution was stayed until the Court of Criminal Appeals takes further action. Staley’s case presents a unique question for the courts. His lawyers argue that it is unethical and unconstitutional for the state to forcibly medicate Staley so that he can be executed. Prosecutors in Tarrant County, though, argue that Staley’s treatment is in his “best medical interests,” not solely so that he can be executed, and that his condition has improved over the years. "There has to be some sort of sense of finality," said Jim Gibson, an assistant criminal district attorney in Tarrant County. "This is the judgment of a duly impaneled jury. We believe that it is completely reasonable for the trial court to simply say, 'Take your medication.'" Staley shot Steak and Ale manager Robert Read in the course of an Oct. 14, 1989, robbery at the tail end of a four-state crime spree with two accomplices. He was sentenced to death in 1991. Cunningham wrote in an affidavit that it was uncertain whether Staley’s competency could be restored and that he was “profoundly psychotic and delusional” in spite of his medication. In a 2010 interview with Cunningham, Staley told the psychologist that he had made "$180 zillion" from the development of a computer program before he was sent to death row and that the Haldol he was forced to take was actually a concoction of peacock feathers and alcohol. Still, Cunningham concluded that Staley was competent to be executed because he recognized that he was being put to death for his role in a murder. And he said, comparatively, Staley's conditions seemed improved. Despite the perceived improvement, in 2011 Staley's dosage of Haldol was doubled after an incident in which he soiled his cell and refused to cooperate with guards at the Tarrant County Jail. And in May, jail staff found him pacing in his cell, muttering incomprehensibly and making gagging sounds. Two weeks before his most recently scheduled lethal injection, Dr. Kristi Compton, a psychologist, evaluated Staley and signed an affidavit concluding that he was competent but that he could decompensate easily and quickly return to a psychotic state. And, she wrote, "there is a reasonable degree of psychological certainty that without forced medications, he would not be competent." She evaluated Staley again on Monday and found that he was no longer competent. That raises the primary question that Staley's lawyers want answered: whether the Constitution allows the state to force someone to take medication so that he or she can be executed. Stickels said he has asked Tarrant County prosecutors — unsuccessfully — to consider commuting Staley's sentence to life in prison. And he said he plans to ask them again. "It is obvious that the whole purpose of medicating him was to get him competent to be executed," Stickels said. "I don’t think that right. I don’t think that’s constitutional." But Gibson said the execution isn't the only reason to keep Staley medicated. It protects him from his own frightening delusions and psychosis. "The fact that he has regained competency under the medication is a benefit," Gibson said.